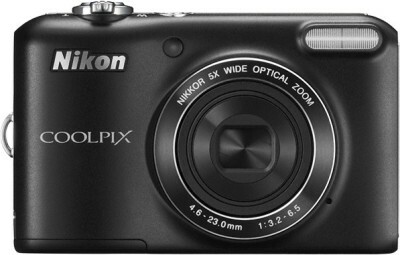 Get great discount on Nikon Coolpix L28 Point & Shoot Camera | Online India shopping best deals, discount,coupons,Free offers. Nikon Cameras are supposed to be the most widely used devices by photographers the world over. This is mainly due to the fact that they are mostly user friendly and are designed in such a manner that they are easy to operate. The Coolpix L28 by Nikon is a great camera for beginners and it can also serve as an emergency backup camera for photographers. Sensor Technology This camera is equipped with a powerful 20 MP CCD image sensor. This image sensor is very handy for low light photography as the high quality sensor allows in more light than the older chips that were in use before. The 20 MP that it delivers allows you to take high quality shots that have stunning levels of detail in them. The CCD image sensor that the camera uses is also capable of high quality images without the need to constantly change the ISO settings according to the lighting conditions. Nikkor Inside Most cameras by Nikon are built around the lens, thereby giving the lens prime importance when designing a whole camera around it. The Coolpix L28 has been designed in this fashion, where the Nikkor Glass with Zoom can get you much closer to the action without you having to move physically closer to the subject. The 5 X Wide Angle lens is ideal for a wide range of situations and scenes. The proprietary Nikkor lenses are highly reliable and accurate no matter what camera they are for. The Nikon is capable of 5x optical zoom and 4x digital zoom as well. Simple to Use The hassle free approach to photography is possible with the Nikon Coolpix camera as it is designed to be user friendly no matter what your skill level may be. The in-built 3 inch TFT LCD screen with Anti-reflection coating allows for immediate reviewing of all pictures taken. The Easy Auto feature or the Scene Selector is handy for beginners as you only need to point and shoot, the camera will adjust all the settings automatically. The camera is also equipped with over 20 scene modes. The Camera is capable of taking HD videos in 720 p resolution..The product Nikon Coolpix L28 Point & Shoot Camera is from the famous brand Nikon. The product is currently available with the amazing discount from FlipKart.Currently a discount of 14.0% available for this product. Great discount for this product which has the original price of Rs.5950.0 and you get these amazing products for a discounted price of Rs.5110.0. Hurry up. Stock may be limited.